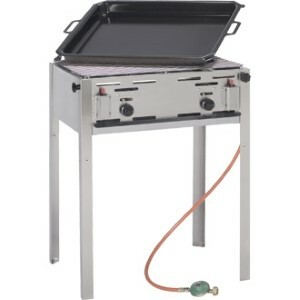 Folding Gas Barbecue on Wheels Buffalo folding gas barbecues are ideal for any outdoor catering occasion. Convenient, portable barbecues with two fitted wheels for greater manoeuvrability. Ideal for any outdoor catering occasion. 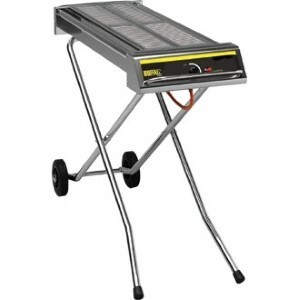 The Buffalo Grill Master Maxi barbecue is a quality machine for light duty use, supplied with grill rack and enamelled frying pan.